Join us on Palm Sunday for a time of fellowship with Eggstravaganza! We will gather on the front lawn immediately after the 11:00 service for hot dogs and hamburgers with all the trimmings followed by the Easter Story presented by our own FBC Drama Team! After that we will have both of our annual Egg Hunts on the lawn of the City County building and crafts will be available! Lunch is $5 per person ages 6 and up. Children under 6 eat free! 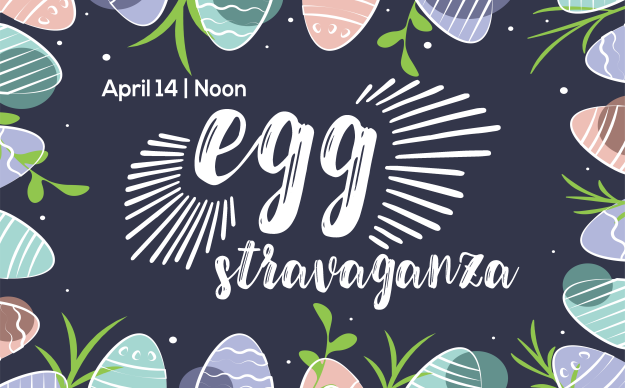 All Eggstravaganza activities will take place inside the church! We will have lunch in Trentham Hall and hide eggs around the Preschool and Children's floors. There will still be many eggs to see out, so please join us!